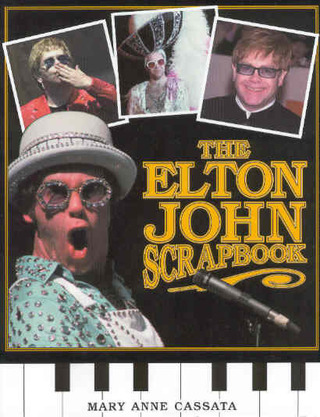 This is the book Elton's fiercely loyal followers have been craving--a guide that explores every nook and cranny of the legendary rock musician's extraordinary career. Included are biographical background, anecdotes, critical commentary, lists, quizzes, trivia, quotes, and more. Mary Anne Cassata has done an amazing job! Elton fans will not be disappointed! For more than 40 years, Elton John has endeared himself to millions of fans worldwide by recording, charting, touring,and above all entertaining with unparalleled enthusiasm. The England born star has confounded the oddsmakers with staying power. While many of his peers from the time of his 1970 U.S. debut have since disappeared from the public eye, Elton has remained vital, vibrant and highly visible. Along the way, he has created a virtual soundtrack to life for generations of music lovers.